Make your perfect day complete with this wood wedding guest book alternative. *The wood is distressed then left unsealed so guests can sign with INCLUDED GOLD/SILVER SHARPIE PEN. Need additional paint pens? Grab them here! 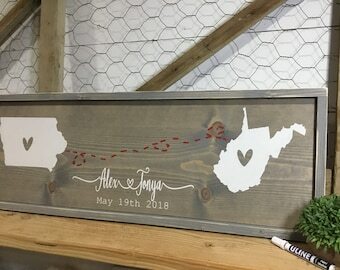 I hand pick each piece of wood for your new wedding decor with care. Your new family sign is hand cut, sanded and hand painted. 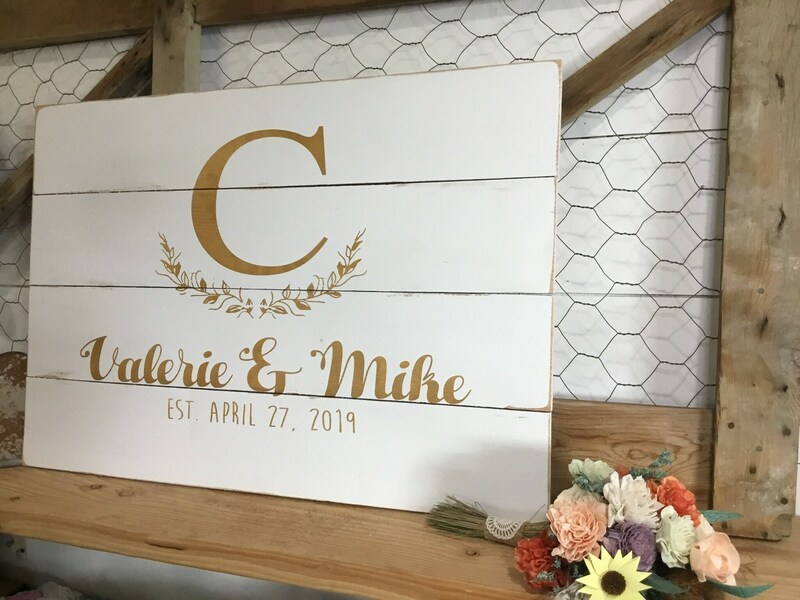 This handmade wedding sign will look great in your new home too! Set them up on a bookshelf, mantle, windowsill or hang them on a wall. This guestbook palette is so nice! It turned out amazing. I love everything about it. What a nice alternative from a regular guestbook. The item came with black and pink marks on it.